This week got off to a rough start. Week 2 had Mr. J away at summer camp, and Mr. K alone with us all week. Within 2 minutes of being together on Saturday, the kids were already fighting. Thankfully, saturday had them separated for most of the day. Sunday we went to watch the final game of the World Cup, and then Mr. K spent the afternoon with his dad, and Mr. J spent the afternoon with his grandparents. I wasn't really looking forward to them fighting all week, but it turned out to be ok.
We had a pretty low key week - and only made it to the pool once (Mr. K and I went Monday evening). We did a little shopping (Mr. J had some birthday money to spend) and spent time with my niece playing board games. Friday Mr. K was with his grandma. 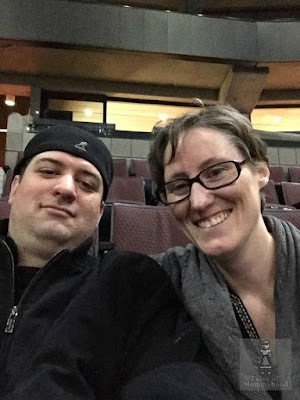 Hubby and I went to see Kevin Hart that night (the tickets were his anniversary gift). My plan for the week had been to go swimming 2-3 times, go to Saunders Farm, and possibly even hit up a beach. Our week was completely different than that, but I think the kids enjoyed the down time. They are both in camp next week (Mr. K a bike camp, and Mr. J a soccer camp), so they are going to be separated all week - and also physically busy ALL day, and then soccer every evening. Did you do anything super fun this week? I would love to hear about it.